AAC is about saving their clients both time and money. They provide payment processing and billing for industries like health clubs and martial arts schools. AAC’s customer and client service teams handle everything from customer issues and updates to credit card expirations, account freezes, cancellations and more. They go even beyond managing current payment processing and billing to assisting with billing disputes and overdue payments in order to keep as much money as possible coming back into their client’s pocket. Quality customer service is important to AAC. 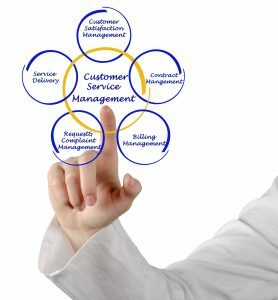 The customer service team understands that the service they provide is a direct reflection on the client. This department is dedicated to offering support for the client’s members. They manage the day to day payment processing and billing needs which include everything from ensuring monthly membership dues are collected in a timely manner and membership contracts are managed the way the client wants. They also handle any issues that arise relating to payment processing, billing and ensure they are handled effectively and efficiently. Just as exceptional customer service is emphasized at AAC, so is providing quality client support. AAC has a dedicated, well-trained team that works directly with health club and martial arts school owners as well as other membership-based business owners. They are there to provide on-demand support with questions and issues regarding anything from payments, membership contracts, software and more. The AAC customer and client service teams take their client’s member and student concerns seriously. Whether updating contact or credit card information or answering questions, they strive to provide a positive experience and effective communication on the client’s behalf. AAC works to ensure the business owner’s partnership with them is seamless and operates as one in the eyes of the customer. The teams want members and customers to have a great experience whether the issue is big or small.